A LANDMARK documentary series on the history of the Scottish police – made by STV Productions for BBC Scotland – starts on BBC One this Monday, 27 November. The Force: The Story of Scotland’s Police documents the service from its origins 400 years ago, when James VI of Scotland decreed every parish should have two constables, through to the 1800 establishment of the Glasgow City Police, recognised as the UK’s first formal force, right up to today’s modern public services organisation. Three episodes will shine a spotlight on the service which has provided Scotland with centuries of law enforcement to keep the country’s peace and make our communities safer. They look at policing practices past and present and meet the men and women behind the uniform, telling their stories and highlighting how their roles have changed through the years. With captivating archive material and candid testimony from retired officers, as well as contemporary footage of the police in action, the series provides a fascinating insight into the development of policing in Scotland and how far investigation-handling and crime solving techniques have advanced. * The Beat Patrol focuses on the lowest ranking office, that of constable. 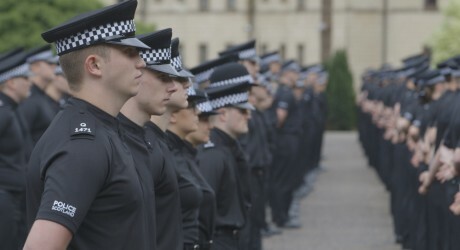 Almost 80 per cent of the 17,000 officers in today’s Scottish police force hold the rank; viewers will hear tales of life on the beat from young probationers and retired officers, including a former Detective Chief Superintendent, to learn about their experiences and find out what it’s really like to tread Scottish streets wearing a police uniform. * The Detectives examines the evolution of police detective work, from its early beginnings in the 19th century to the landmark cases of the 21st century. Officers recount their often moving memories of infamous, harrowing cases and discuss the impact of technological advances, particularly in forensic science and DNA. * Law and Order looks at policing through times of social change – from the mob rule of the 18th century through to the national unrest during the major industrial actions of the 1984-85 miners’ strike and the violence of the 31st G8 summit protests at Gleneagles in 2005. Michael McAvoy, head of Documentaries at STV Productions, said: “The Force: The Story of Scotland’s Police reveals tales of personal sacrifice, groundbreaking forensic science, blatant sexism, tenacious detective work, horrifying crimes and outstanding bravery. However, we also had excellent access to today’s police force so the series gives viewers a unique perspective on the challenges that our modern police face every day. Episode one of The Force: The Story of Scotland’s Police airs on BBC One at 21.00 on Monday 27 November. The company has a record of success across a range of genres, including drama, entertainment and factual, for a wide range of broadcasters. Ratings winner, Antiques Road Trip, has run for 15 series on the BBC, along with six series of sister programme, Celebrity Antiques Road Trip. A further three series of Antiques Road Trip is now in production and the seventh series of Celebrity Antiques Road Trip is about to air. In entertainment, the company has produced five series of Catchphrase for ITV and two series of Safeword for ITV2, as well as reality format Tour de Celeb for Channel 5 and The Dressing Room for UKTV’s entertainment channel W.
Specialist factual successes have included Tutankhamun: The Truth Uncovered for BBC1, Smithsonian Channel and Discovery Canada and Swallowed By The Sea – Ancient Egypt’s Greatest Lost City for BBC2 and Life After: Chernobyl for Animal Planet US. In documentaries, Dunblane: Our Story for BBC2, commemorating one of the most tragic days in Scotland’s modern history, won a BAFTA Scotland Award for Best Single Documentary. Other STV Productions documentaries include: Ross Kemp Behind Bars – Inside Barlinnie for ITV; two series of Prison: First & Last 24 Hours for Sky1; Scotland and the Battle for Britain presented by Andrew Marr for BBC Two; The Lockerbie Bombing for the Smithsonian Channel and ITV; The 7/7 Bombing: Survivors’ Stories for ITV; Rollermania for BBC Scotland and BBC4; The Queen Mary: Greatest Ocean Liner, a documentary for BBC Scotland, BBC Four and Smithsonian Channel; and Fire in the Night, a feature documentary to mark the 25th anniversary of the Piper Alpha disaster, which won a BAFTA Scotland Award for Best Single Documentary and the Audience Award at the Edinburgh International Film Festival. STV Productions has a track record of producing quality returnable drama series including Taggart and Rebus with ambitions to build on this reputation. In the last five years, it has produced Fast Freddie and The Poison Tree, both for ITV, and the business recently secured its first BBC drama commission – four-part thriller, The Victim, for BBC One, which is now in pre-production. 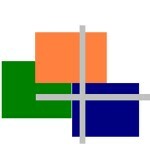 STV Productions works with a number of leading international sales agents that distribute STV Productions’ completed programmes and formats outside the UK. In August 2015, STV Productions entered a strategic development partnership with Motion Content Group to create new entertainment, factual and drama projects for the UK and international markets.